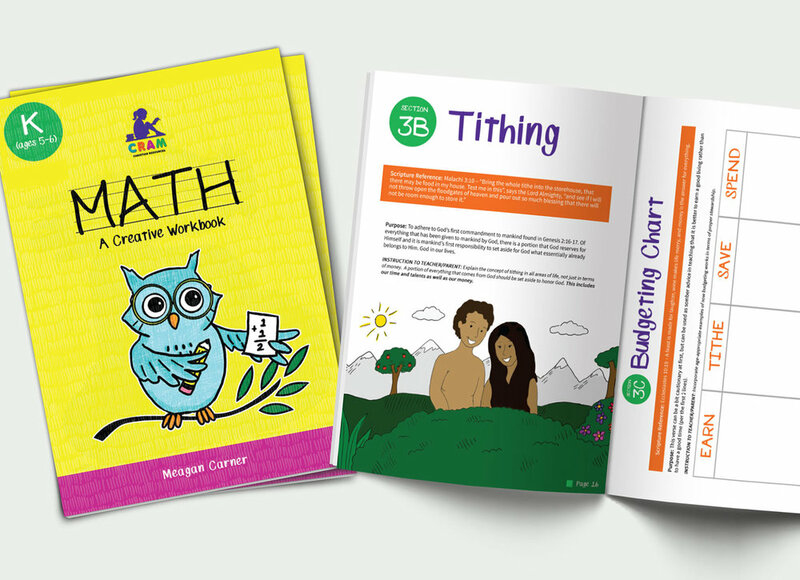 CRAM is a workbook series that joins academic content and Christian values into individual workbooks, currently for children at the Kindergarten age. The MATH Workbook is the first in the series which includes individual workbooks covering the academic areas of Mathematics, Life Science, Language Arts, and Social Science. 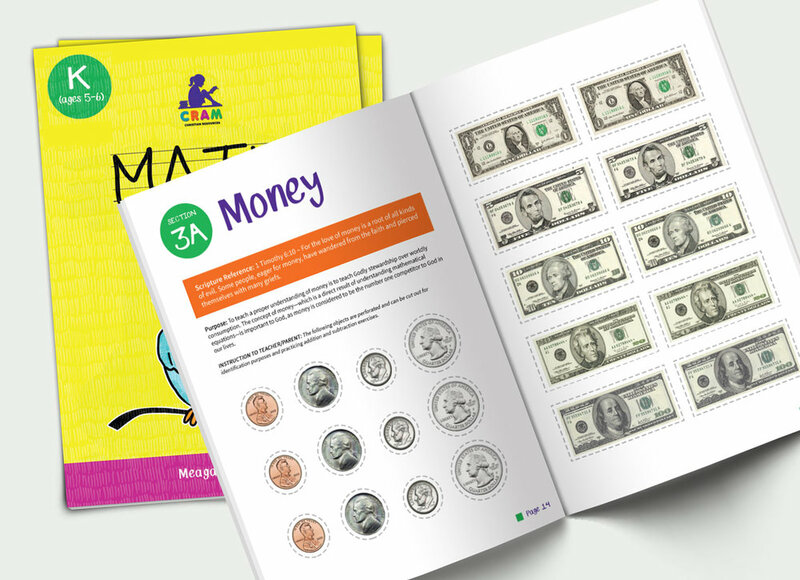 In the MATH Workbook, students perform basic, primary mathematical functions, articulate spatial relationships, interpret time and measurement, as well as learn financial stewardship through tithing and budgeting. In the LIFE SCIENCE Workbook, we target the instruction to focus on how a child conducts him or herself within their environment, and not simply on their reaction to their environment. We give kids clear and explainable instruction on the Holy Spirit, the Trinity, and God’s Creation and His first charge to mankind. Meagan is the Founder of CRAM Christian Resources and Author of its curriculum workbook series. Education—which at one time served as a unifying force—has become one of the most powerful instruments for fostering division, having just as much of a negative impact and influence on today’s society as the political and religious arenas. In order to combat this division, Meagan understands that traditional academic subjects can no longer serve as the extent to which a particular curriculum area is learned. An intentionally-written, Biblically-integrated educational curriculum is critical. For more than 10 years, Meagan has been dedicated to improving children’s education, and doing so by creating a curriculum structure that fully incorporates Biblical principles into traditional education, thereby motivating holistic success in children. Meagan is a graduate of David N. Myers University in Cleveland, OH and holds a Master’s in Education from Regent University, with a concentration in Curriculum & Instruction. “CRAM's curriculum infuses biblical principles throughout. The math workbook teaches my daughter how God is all about order and loves order, and how that relates to math. The workbook is very interactive which she loves."